Agastya Nadi Astrology is the ancient Indian science taught by Sage Agastya which explains planetary motions and positions with respect to time and their effect on humans and other entities on Earth. Since ages past, the great seers – whom we call maharishis – recorded the destiny of individual souls that would take birth on Earth in this kalpa (age of Brahma). They did this by understanding the subtle mechanics of creation on the finest levels of their own awareness. These understandings were recorded in the form of a dialogue between Lord Shiva and his consort Parvati. (It is known that Lord Shiva taught astrology to his wife Parvati upon her request). These enlightened sages directly experienced or ‘heard’ the self interacting dynamics of pure consciousness: the absolute field of existence. One such maharishi was the Sage Agastya, and hence the nadi leaves are allocated to Sage Agastya. Sai Bharathi is a practising agasthya nadi astrologer located in Puttaparthi, India. 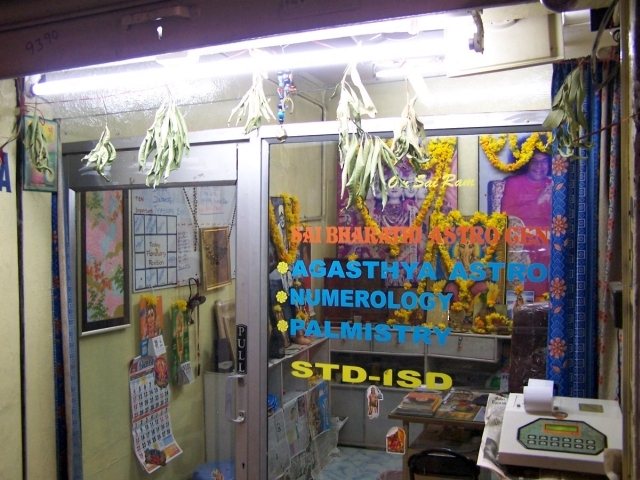 Sai Bharathi practises agastya nadi astrology as taught by Sage Agastya, Numerology and Palmistry. He is located in Basama Shopping Complex, on Main Road, Puttaparthi, opposite the Prashanti Nilayam Ashram of Bhagavan Sri Sathya Sai Baba. You can read more about Sai Bharathi here. 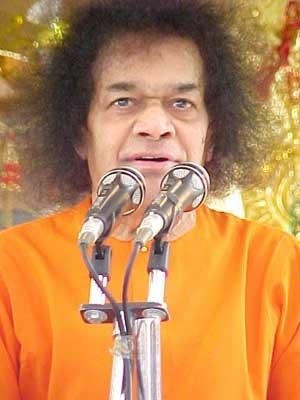 Sathya Sai Baba is truly God incarnate, God made man, for the sake of human life and all forms of life on this planet. He has come to foster righteousness on a firm footing (dharma, right conduct); to foster teaching of the divine scriptures; to foster the place of divine scriptures in human life; and to foster and protect all men and women of goodwill who are devoted unto God. 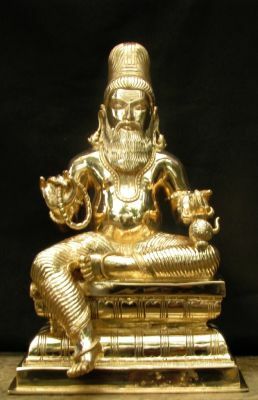 This is a human form in which every Divine entity, every Divine principle, that is to say, all the names and forms ascribed by man to God, are manifest … You are very fortunate that you have the chance to experiences the bliss of the vision of the form, which is the form of all gods, now, in this life itself.